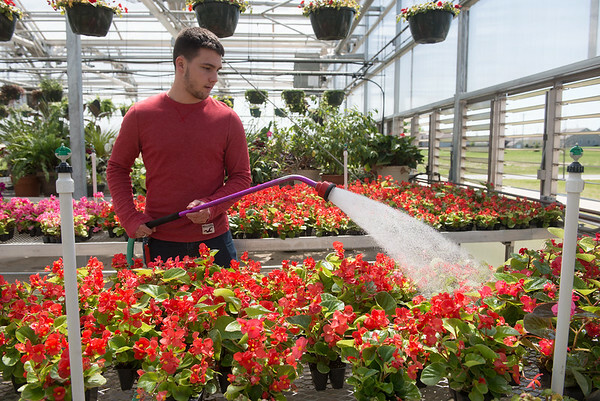 Liam Clevenger, a junior at Joplin High School, waters plants on Tuesday at the Franklin Tech greenhouse. Franklin Tech's greenhouse and landscaping class is currently selling spring plants at the school into May during school hours, with special open late hours until 6:00 p.m. through Thursday. Benefits from the sale go to the Joplin FFA.